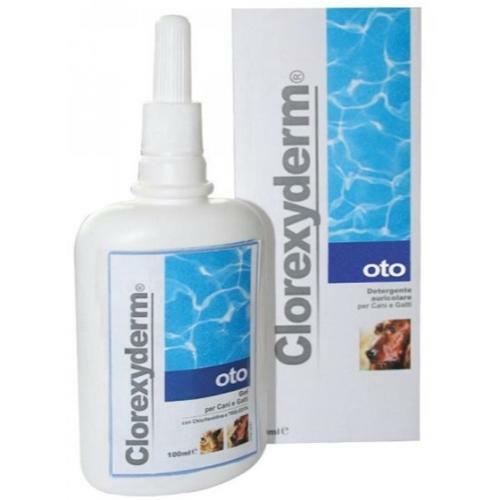 Clorexyderm Oto Ear Cleaner is made of a specific formula that gently dissovles excess ear wax and is indicated for routine eat hygiene in adult dogs, puppies and cats. Directions for use: Place a small amount of the Clorexyderm in the ear, while simultaneously massaging the base of the ear. Remove excess product with a clean cloth or gauze. Repeat the treatment 2-3 times per week. This product can be used for regular ear cleaning. Composition: Chlorhexidine digluconate, lactic acid, salicylic acid, propylene glycol, deionised water.